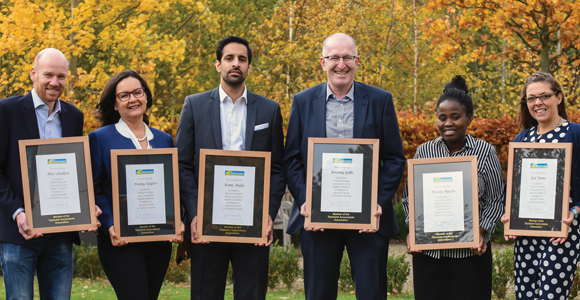 TaxAssist Accountants welcomed from left: Alex Chidlow (Horsham and Haslemere), Penny Taylor (Leamington Spa), Kam Aujla (Derby), Jeremy Gilks (Norwich South), Tressy Mpofu (Oxford West) and Zoe Tame (Winchester). Six new franchisees joining TaxAssist, the small business accountancy network brought the total number of franchisees recruited by the company last year to 19. One of the new recruits Alex Chidlow, a member of the Chartered Institute of Management Accountants, has 18 years’ senior finance experience in small and medium-sized enterprises and blue-chip organisations. Chidlow, who covers the territory of Horsham (West Sussex) and Haslemere (Surrey), explains why he joined the company: “Over the last few years I have been nurturing a plan to move on from corporate life and start a small accountancy firm whose purpose is to help and support local small businesses. “I felt this change would give me greater job satisfaction and more control over my time, allowing me to spend more time with my family. I am looking forward to this exciting new challenge”. Karl Sandall, group chief executive director at TaxAsssist, said: “It has been a pleasure to welcome such a fantastic group of motivated and talented new franchisees to our 200 plus strong network of franchisees. TaxAssist explains that it operates from visible, accessible and welcoming shop front premises, which have been designed specifically to appeal to the small business market. The company adds that it is unique in the franchise sector as it is 40 per cent franchisee owned, following a franchisee assisted management buyout in 2014 and in just 22 years, its franchise network has grown year-on-year with a fee bank of over £46m, serving more than 70,000 small business clients.